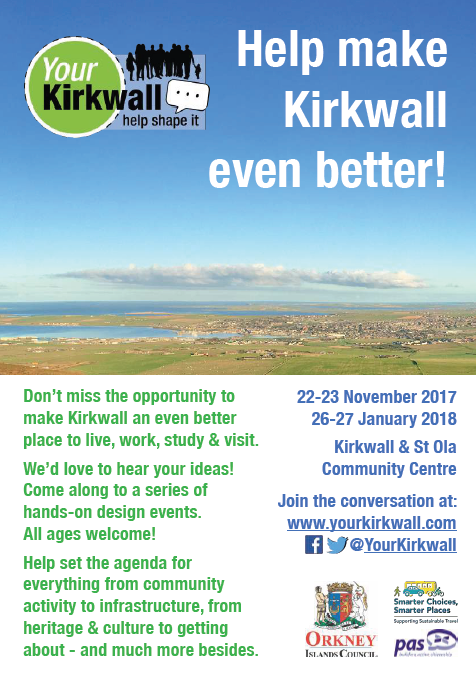 ITPEnergised is happy to be part of the PAS team, working with Orkney Islands Council on an update to the Urban Development Framework for Kirkwall. 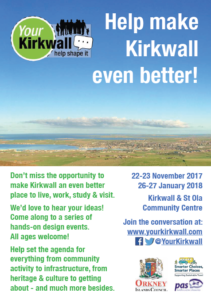 The project, “Your Kirkwall”, involves extensive community and stakeholder liaison and gathering of thoughts and ideas in order to help shape the future direction of this unique island town. We are providing environmental and sustainability advice and input to the project, working closely with the wider consultancy team led by PAS.